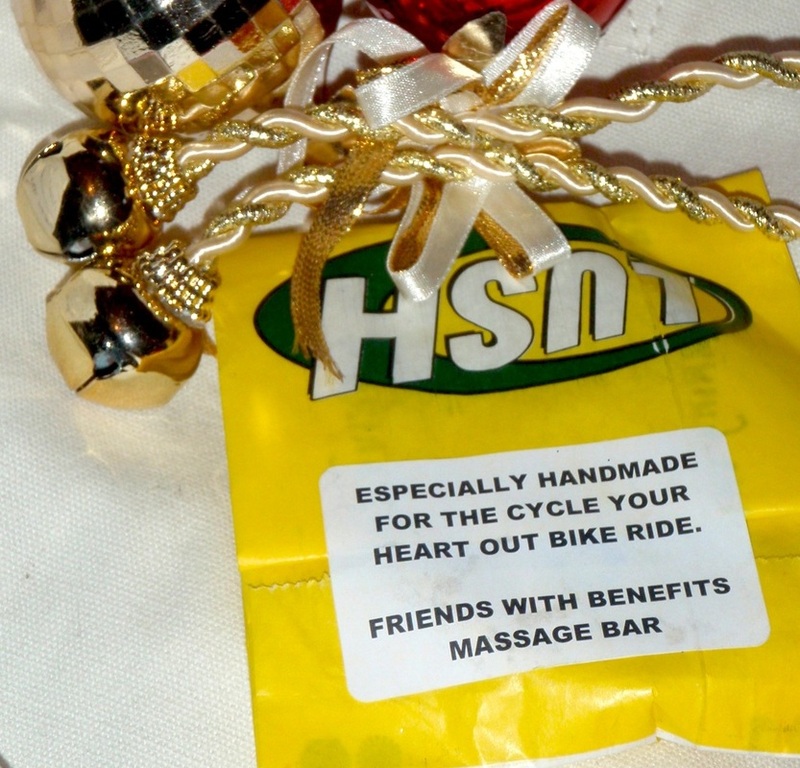 Lush kindly donated the divine smelling 'Friends with benefits' massage bars! Not only do they smell like chocolate orange, but they are also made with fairtrade cocoa butter! My local friendly Bicycle shop in Shenley Church End, Milton Keynes kindly donated some puncture repair kits! 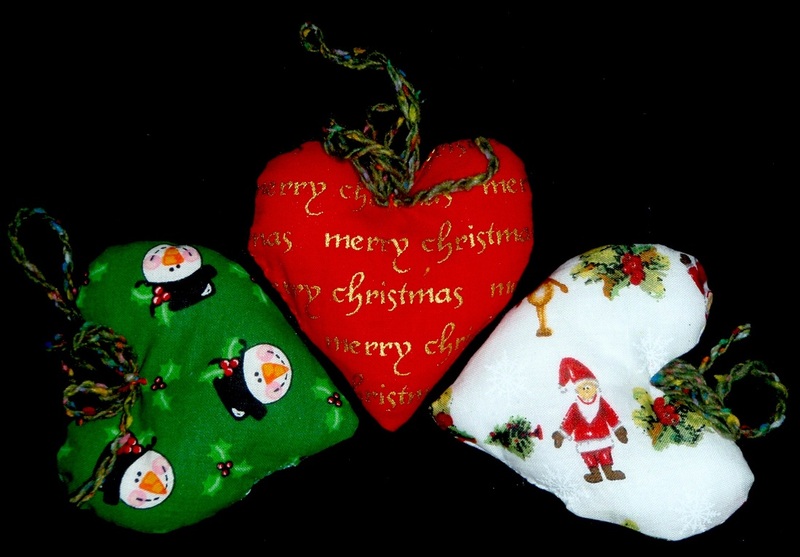 A huge thank you to the multi-talented Brazilian designer Dene Edwards who created these beautiful Christmas decorations to hang on the tree! 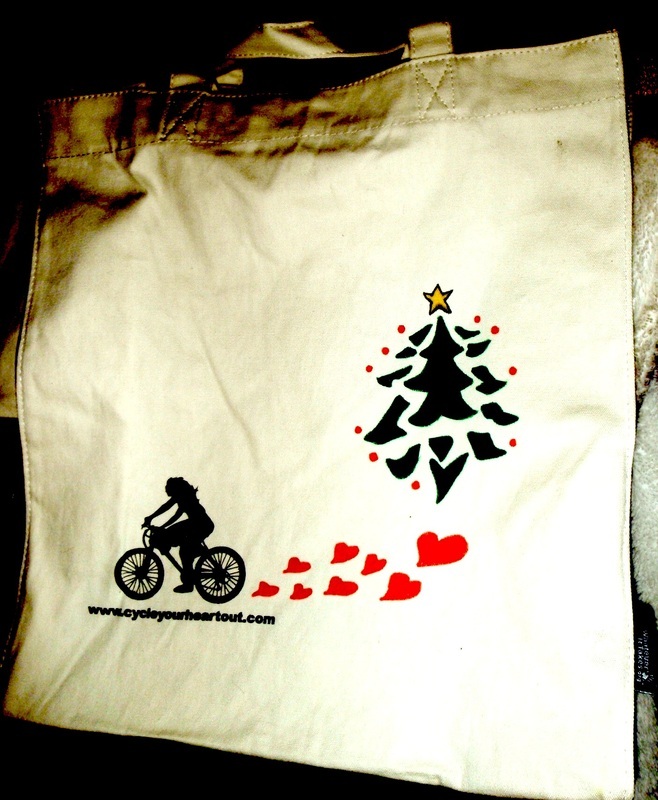 Thank you to Cotton Craft in Milton Keynes for doing such an amazing job with the bag printing! The bags they provided are all fairtrade & made by the fantastic organisation 'Whatever it Takes' who have had celebrities such as Nicole Kidman, Lilly Allen & the late Amy Winehouse design for them. The talented and wonderful Belly dancer Arena kindly made beautiful charm bracelets for each bag! 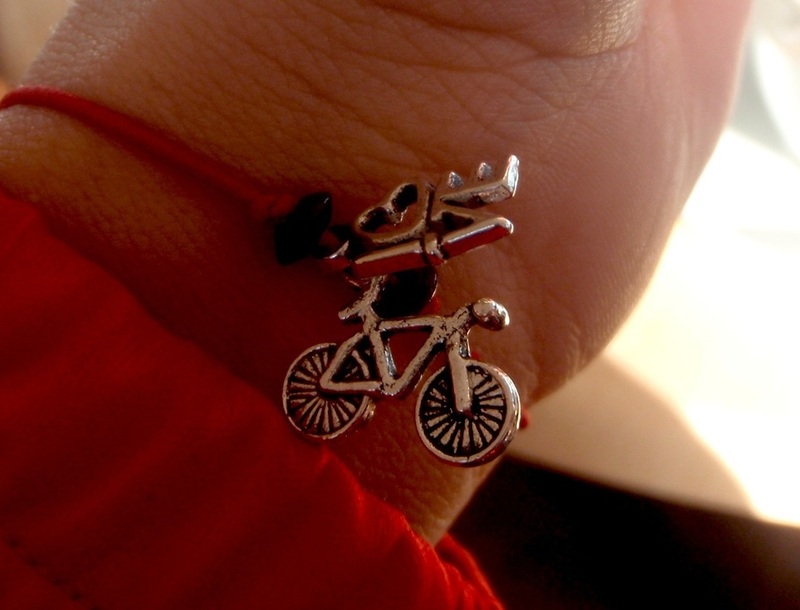 I absolutely love the little bike and heart charms! Arena is currently Biker Girl of the week! 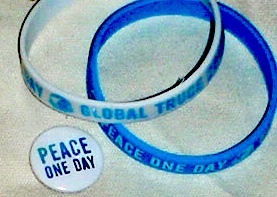 In August I organised a 'Midnight Peace ride' to help raise awareness for Peace One Days annual day of peace. They have kindly donated some funky wristbands and badges! 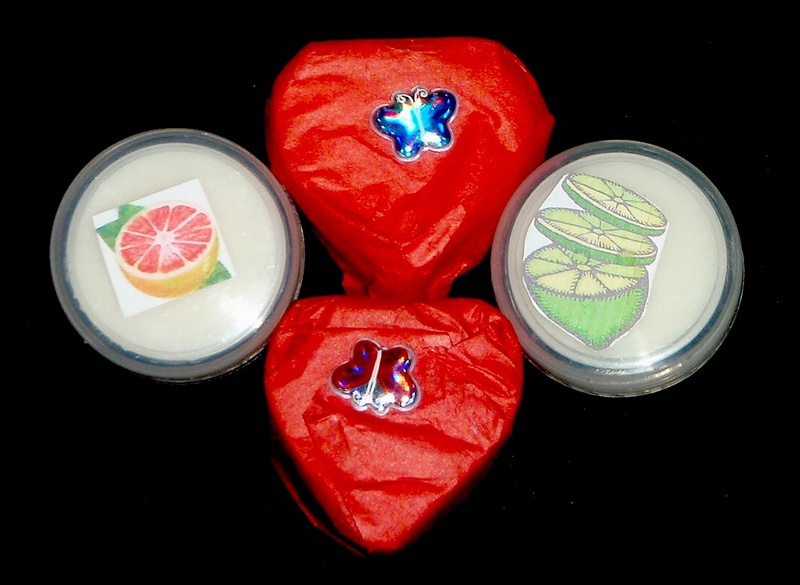 Thank you to South African soap King Daniel De Waal for making these beautiful lavender heart soaps and cute little lip balms. All his products are organic and home-made!